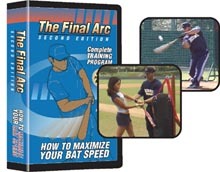 Jack Mankin, the host and author of this Training Program, is a batting mechanics coach who has spent decades studying and teaching the batting styles of baseball's all-time greatest hitters. The rotational batting principles that Coach Mankin teaches in this video are backed by scientific research and proven results from batters nationwide. John Elliott, the trainer featured in the video, is a batting coach of many years, teaching everyone from kindergarten to college to the pros. His five seasons with the Houston Astros Organization gives a professional hitter's perspective on this revolutionary approach to the bat swing.